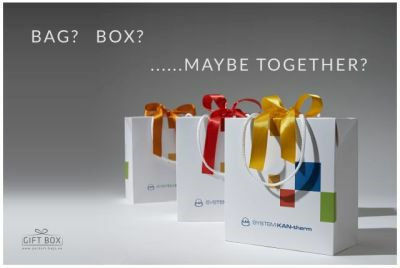 We have introduced the Gift Box package to our constant offer. Ideal box for packing jewelery, sweets, clothing, promotional gifts and many others. The box has a 25 mm wide ribbon closure in one of 26 colors and a matching handles. 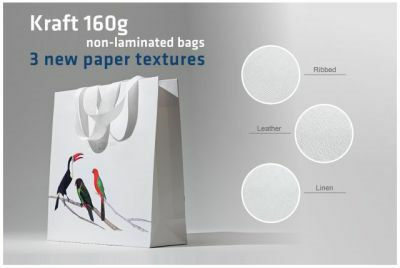 We have introduced a new white kraft paper 160g to our permanent offer. 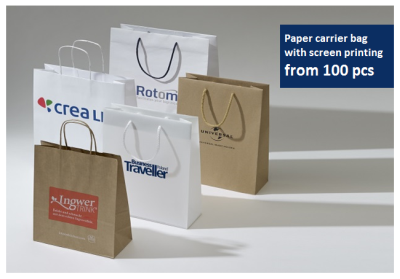 Kraft paper 160g is ideal for no-laminated bags and sachets. It`s stiffness is the equivalent of 200g offset paper or artpaper 170g with lamination. Kraft paper 160g allows any advertising printing in CMYK (photo) or Pantone. 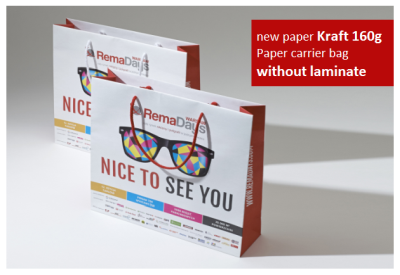 The paper has a velvety texture and it is also erasure nad cracking resistant. Printing with water paints and UV paints on laminated bags. Flexibility in the choice ofropes colors, rips or satin ribbon (basic templates). Papers and handles templates for Advertising Agencies disposal. 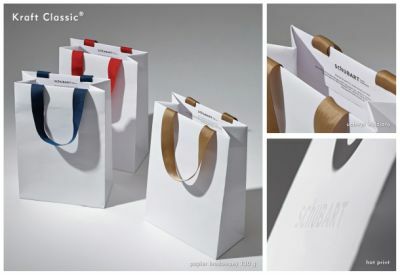 Paper bag Kraft Classic with inserted and glued handles. Satin ribbon or rips band handles glued in the top fold. To our permanent offer we introduced handles made of satin ribbon or rips band with a width of 25mm and 15 mm, glued in the top fold. The technology we use ensures grip strength comparable to conventional ropes handles. The tapes are available in 12 standard colours and custom 80 colours on request. There is a possibility to make satin ribbons and rips bands in one and the same colour, which is important in the case of bags with an additional knotted closure. The minimum quantity is 500 pcs.